Over three floors. Four bedrooms: 1 x king-size double with en-suite shower, basin and WC, 1 x double, 2 x second floor twin. Bathroom with bath, shower over, basin and WC. Ground floor basin and WC. Kitchen with dining area. Utility. An immaculately presented Grade B listed, end-terrace cottage on the outskirts of the town of Aberfeldy, surrounded by the stunning scenery in Highland Perthshire. 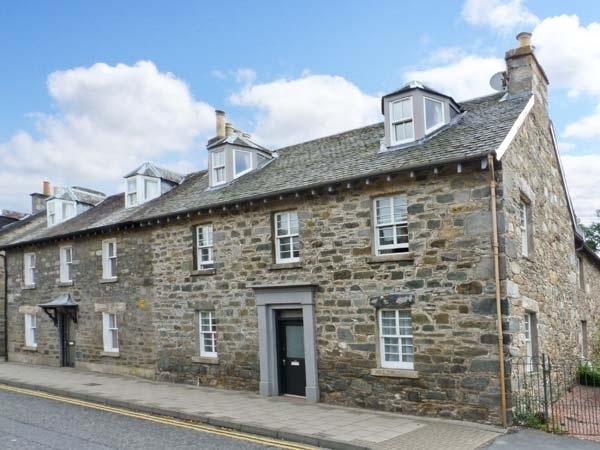 Superbly appointed throughout, this Aberfeldy cottage is a perfect retreat for families and friends seeking stylish accommodation close to beautiful countryside. Set over three floors and immaculately decorated throughout, this Perthshire cottage has four bedrooms, the first floor of which has a king-size double boasting an en-suite shower room, as well as a second double room, plus there are two second floor twin rooms, which are accessed via a set of spiral stairs. The ground floor at this cottage in Aberfeldy contains a comfortable sitting room and a kitchen/diner with glazed doors opening onto a sun room, which then leads you out onto the garden. Outside this Aberfeldy cottage is a large rear lawned garden with a patio and this is the ideal place to relax and soak up the tranquil atmosphere. The town of Aberfeldy sits on Scotland's longest river, the River Tay, and is an excellent location to indulge in outdoor pursuits, such as walking the famous Birks of Aberfeldy, cycling, golfing and white water rafting. Other attractions in the area include the Aberfewldy Watermill and the working distillery at Dewar's World of Whisky. 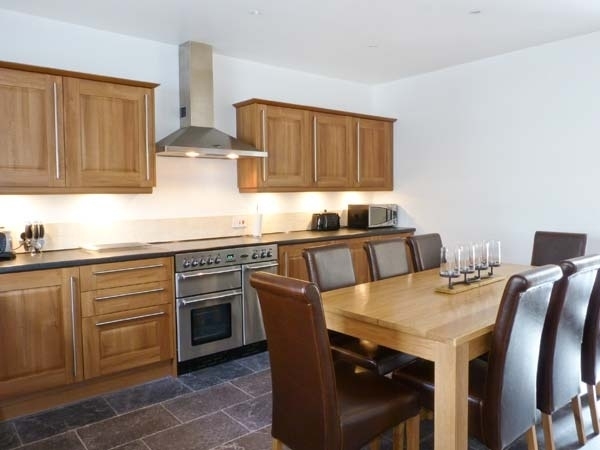 A wonderful Aberfeldy cottage, to be enjoyed at any time of the year.